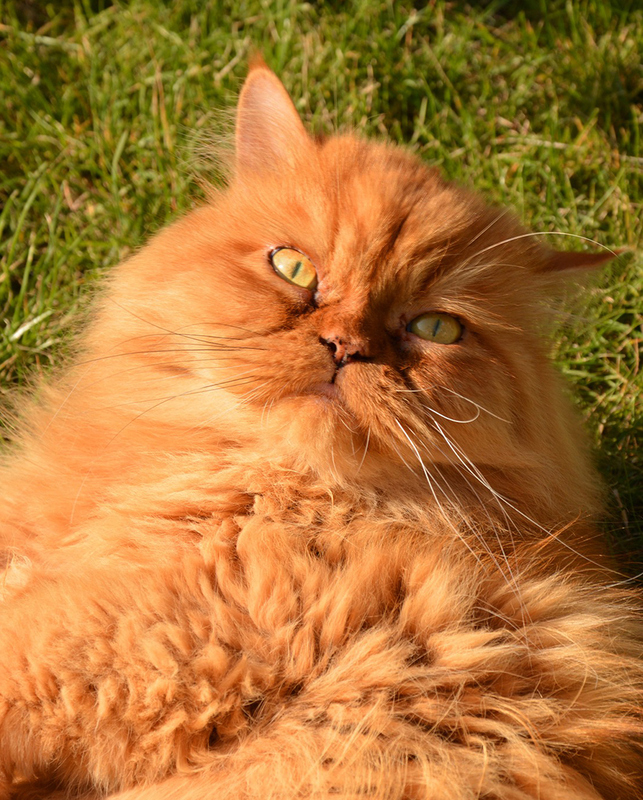 In this article we are going to take a look at the very popular Persian cat breed. Finding out where they came from, what they are like and how to take care of them. Helping you to decide whether a Persian cat is the best breed for you and your family. Persian cats are a pedigree breed. They have long, silky coats and distinctive flattened faces. 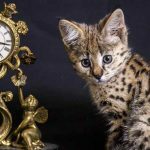 They have made enduringly popular show cats as well as pets, with their laid back personalities making them a welcome addition to many homes. There is some interesting speculation about where this unusual looking cat breed came from. The Persian cat is named for the region they were first widely imported from, Persia (now known as Iran). The history of the Persian cat follows a wild cat breed, who occasionally produced longhaired kittens, as they become popular members of households around the world. Although they are noted and named as being from Persia, there are rumours of references to this being an ancient breed. Some people even believe that they are described in Ancient Egyptian hieroglyphics. What we do know with a great degree of confidence is that from around the 16th Century these long haired kittens were removed from the wild and exported from Persia, and became popular pets. In the late 1800’s they became well established on the world stage, being exhibited at cat shows and getting a lot of recognition. 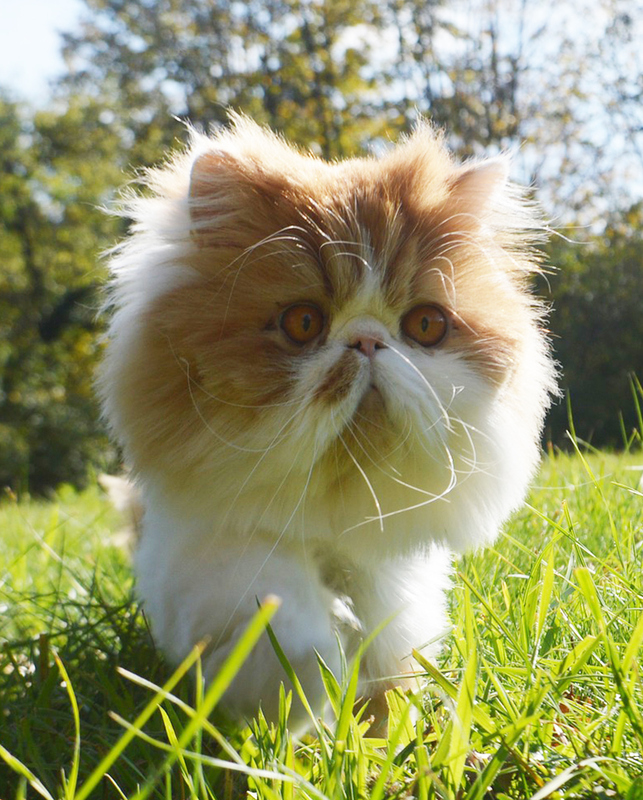 Today Persian cats are the most popular pedigree cat breed in the USA and the UK. They are not a true reflection of the original desert cats however, having been selected over the years to have increasingly shortened snouts and faces. Although Persian cats did have shorter than average muzzles originally, these would not have been the completely flattened faces that we are so familiar with now. This extreme breeding has led to some unfortunate consequences, which will look at in the health section below. Persian cat personality is no doubt a major reason for their popularity. This sweet, gentle soul normally makes for a very laid back companion in the house. Although they have short bursts of playful energy, your happy Persian cat will probably spend most of her days relaxing. Unlike some pedigree breeds her meow is quiet and unintrusive, and she provides a chilled out living companion. Persian cat temperament is generally very nice indeed. They are by and large friendly, loyal cats. This breed is known for being people focussed and easily handled. A great choice for a home-loving family who will love to have a furry friend cuddle up next to them on the couch. Persian cat characteristics are very distinctive. Namely due to their flattened faces and long coats of fur. Sometimes growing up to 10 inches long in places. They have rounded heads with snub noses. Their eyes and large with an obvious gap between them. The Persian cat also has a distinctive body shape, with short, broad legs and stocky bodies. Persian cat size ranges from medium to large when compared with his feline cousins. They average at around 8 – 10 lbs in weight. As they are inclined to be sedentary, you will need to make sure that your Persian cat has their food appropriately restricted to maintain a healthy size. Persian cat colors have a wonderful range of shades. The colors described by the Cat Fanciers’ Associations in the UK and USA differ. I have therefore given a general overview of the colors here. 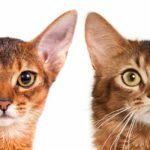 If you are thinking of showing your cat, you can find specific approved colors from their websites (linked at the bottom of this article). 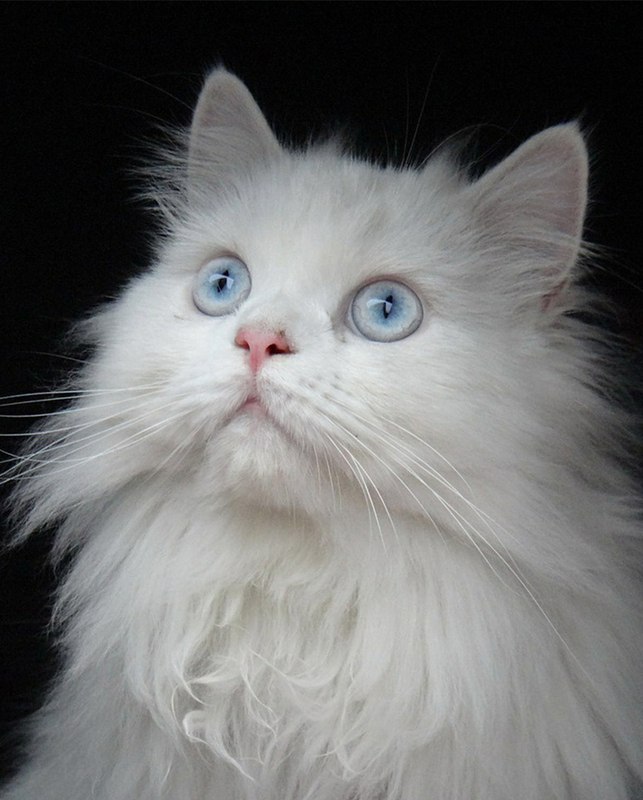 White Persian cats have copper or blue eyes, and occasionally one of each. The rest of the solid Persian cats have copper eyes. Silver and Golden Persian Cats come in either shaded or chinchilla patterns. Shaded have some black fur on their backs and sides. Chinchillas Persian kittens have black flecks on their head, body, legs or tails. Silver and Golden Persians have either green or blue eyes, and black pads on their paws. 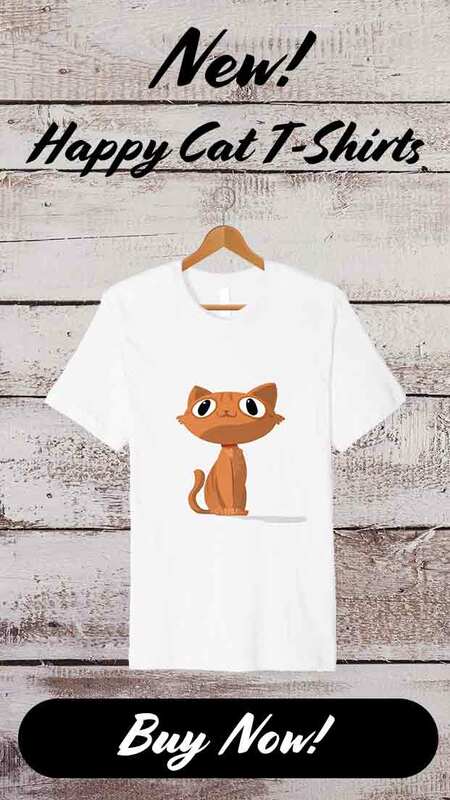 Tabby Persian cats can be classic, spotted or patched in design. All tabby Persian cats have copper eyes, except for the silver tabbies who can sometimes have green or hazel eyes instead. Persian cast also come in Tortoiseshell and Calico coats. Tortoiseshell cats have black coats with red patches, whereas Calicos have white coats with red and black patches. They all have copper colored eyes. You may have seen colourpoint Persian cats, with a Persian appearance and a Siamese colored coat. They are predominantly white cats, with just a hint of color on their facial mask, tips of their ears and feet. Himalayan Persian cats always have blue eyes too. 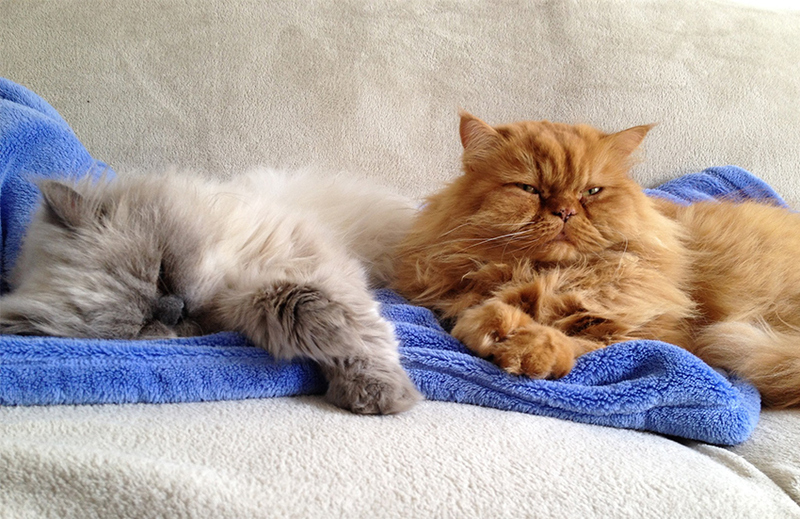 These Colourpoint or Himalayan Persian cats were created in the 1950’s by cross breeding Persians with Siamese cats. These Persian Siamese mixes were then bred back to purebred Persian cats. This gave them the distinctive Siamese pattern, with the appearance of a Persian. Himalayan Persians were recognised as a separated breed in their own right by the Cat Fanciers Association in the late 1950’s, and although they are physically identical in every other way to a Persian cat they are technically not the same breed. Persian cat care is complex. This is not a low maintenance breed, mostly due to their profuse silky coats. Persian cat grooming is a big task. Despite being kept indoors by most owners, a Persian cat will still need a monthly gentle bath. If you start getting her used to this from kitten hood, it should be accepted without too much fuss. If you have a white Persian cat you will also need to wipe around her eyes on a daily basis to reduce discoloration. You may also need to wash their tail regularly to ensure that this does not discolor either. Persian cat grooming is essential to their well-being. You cannot afford to skip a day or miss out on their grooming when your schedule is tighter than usual, as it can rapidly become matted and unmanageable. Many pet Persian owners keep their cat’s back end clipped to reduce matting and help them to stay hygienic. Due to the nature of their coats, Persian cats are recommended to be kept as indoor cats. Persian cat shedding is what you would expect of a long haired breed of cat. You will need to groom them daily, but they will still moult and leave hairs around your house. Regularly thorough vacuuming will help you to stay on top of this. Persian cats are high shedding and not hypoallergenic. If you find an advert offering hypoallergenic Persian kittens, please be very suspicious. This is not a breed recommended to severe asthmatics or allergy sufferers. Persian cat food is available to buy as a specific type of food. 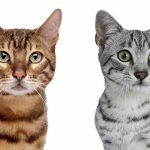 Although they can thrive on generic good quality cat food, these are designed to suit their laid back lifestyle and the shapes of their jaws a little better. Persian cats are known for being picky eaters, but this is something that can be common to many breeds of cat. You must carefully monitor your Persian cat’s eating habits, because they can have trouble chewing due to their flattened faces. Make regular appointments with your vet to have his teeth checked to ensure that you catch any potential issue early on. You can find more information on the best way to feed a kitten in our extensive kitten feeding guide here. Persian cat health is an important thing to consider when you are thinking of buying a kitten. Persian cats have flat faces. Over the years these have been bred to quite an extreme, due to the popularity of that snub-nosed look. Unfortunately, having a flat face is not very good for a cat’s health. It causes a condition known as ‘brachycephaly’, which can have a lot of unpleasant health implications. 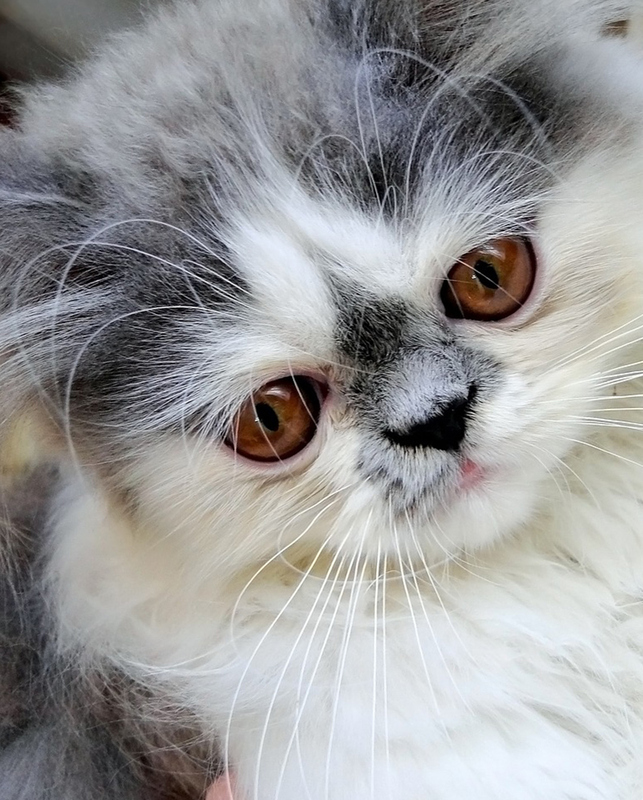 Due to the structure of their face, Persian cats can have tear duct problems. This means that they can constantly leak, causing staining to the fur under the eyes or in the worse case scenario sore skin from the constant moisture. Brachycephaly can also lead to eye problems in Persian cats. Their protruding eyes can be more easily damaged by their normal daily activities, or even by their own long fur rubbing onto them. You need to regularly check a Persian cat’s eye health to ensure that they are not suffering discomfort. Persian cats can suffer from breathing problems as a result of their flat faces. They find it harder to regulate their body temperatures and are not as able to exercise as other cats. Although Persians may seem less energetic, this can sadly be simply as a result of being physically unable to exert themselves rather than a lack of interest in doing so. 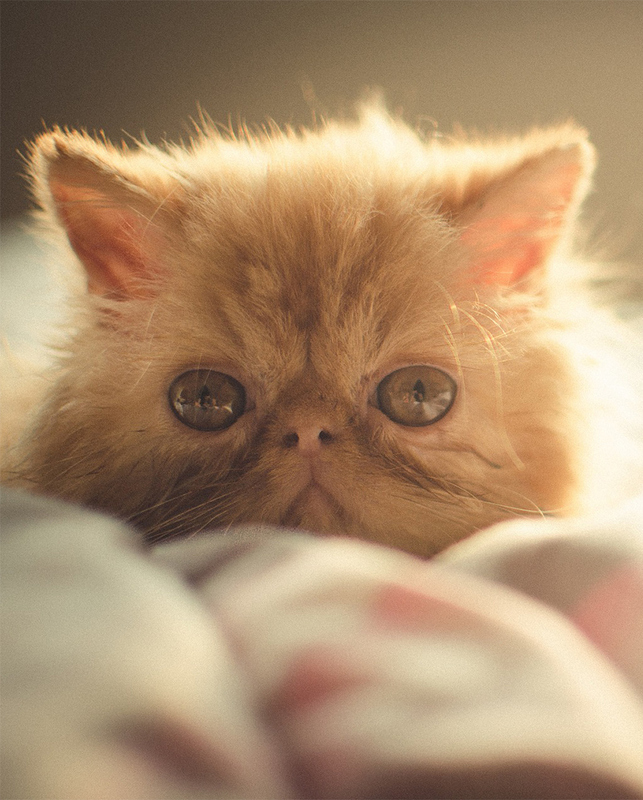 Like other pedigree breeds who are subject to a limited gene pool, Persian cats have an increased risk of suffering from some genetic diseases. 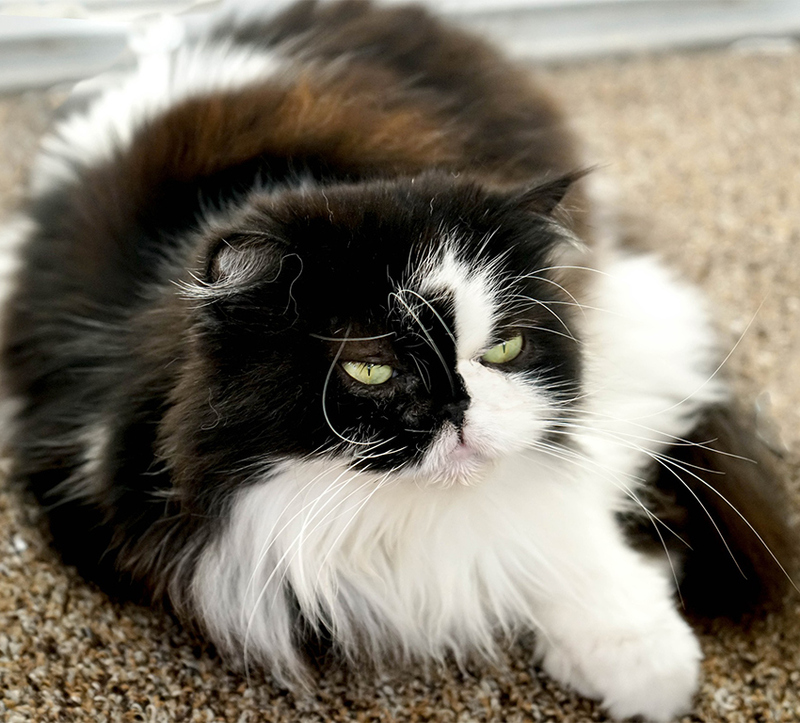 PKD was a big problem for Persian cat breeds, but the breed clubs are happier now that this is becoming under control thanks to a dedication to DNA testing. It is still thought that 30-40% of Persians carry PKD. Although incidences of this disease may be reduced now, it is still important that you only buy a Persian kitten from a breeder who has ensured that both parents were DNA tested clear for PKD. Other potential diseases that Persian cat owners should be aware of are Chediak-Higashi Syndrome, Congenital Ankyloblepharon and Hip Dysplasia. Chediak-Higashi Syndrome only effects cats with blue smoke color. There is not currently a DNA test, but it can be diagnosed with a blood test. You can avoid it by avoiding this color. Hip Dysplasia can be found in Persian cats, and can be shown through x-rays of the parents. However, this is not common practice. Therefore observe the parent cats and see whether they have any stiffness to their movements or reluctance to jump. In addition to the health problems we have looked at above, Persian cats are also prone to ring worm and skin conditions too. Persian cat health problems are an important consideration for a potential kitten buyer. You should also consider the fact that while the average kitten mortality up to 8 weeks is 16%, in Persians it is a staggering 25%. A worrying statistic for any potential Persian kitten buyer. When you are buying a Persian kitten it is vital that you find a breeder who is committed to not just sustaining but improving the health of Persian cats. Look for one who breeds for less exaggerated facial shapes, who health tests their cats and who is happy to discuss their medical history with you in an open fashion. This will give you the best chance of finding a kitten who will live a longer, happier life. How Long Do Persian Cats Live? Persian cat lifespan is anecdotally given as being from 8 to 11 years old. This is not a long lived cat breed, especially that they are predominantly kept indoors away from traffic and predation. 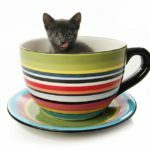 You can potentially help to increase the chances of your Persian kitten living a decent lifespan by finding him from a good breeder who has allowed parents with longer than average snouts to produce the litter, after full health testing. There are a few ways that you can find a Persian cat. You can buy a purebred Persian kitten, buy a Persian mix cat or adopt or rescue an older cat. Which method you choose will be personal to your own circumstances and feelings. Persian kittens are very appealing little creatures. If you are thinking of buying one then do not simply get the first convenient litter that you come across. There are a lot of Persian cat breeders, so you will have a lot of choices. Making the right one before you commit to your kitten is important. You want to find a Persian cat breeder who uses cats with more defined than average snouts, and who is dedicated to health testing and general improvements to the medical problems associated with the breed. View your kitten with his or her littermates and mother. Do not buy a kitten from a breeder who is not prepared to show you their mother or where the kittens have been raised. Many Persian cat breeders will not sell their Persian kittens until they are 13 weeks old, as this is the age advised by the Persian Cat Clubs. 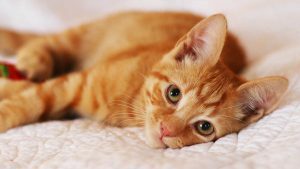 If you pick up your kitten at this age, they should have already had their first vaccinations and your breeder should have certification to prove this. Persian cat cost is not as high as some pedigree breeds, due to the popularity of them. If you are looking for a pet Persian rather than a show quality Persian they will be cheaper. How much are Persian cats? In the USA you can expect to pay between $500 – $700 for an average pet pedigree Persian kitten. For a show quality Persian this will be significantly more, perhaps up to $3,000! 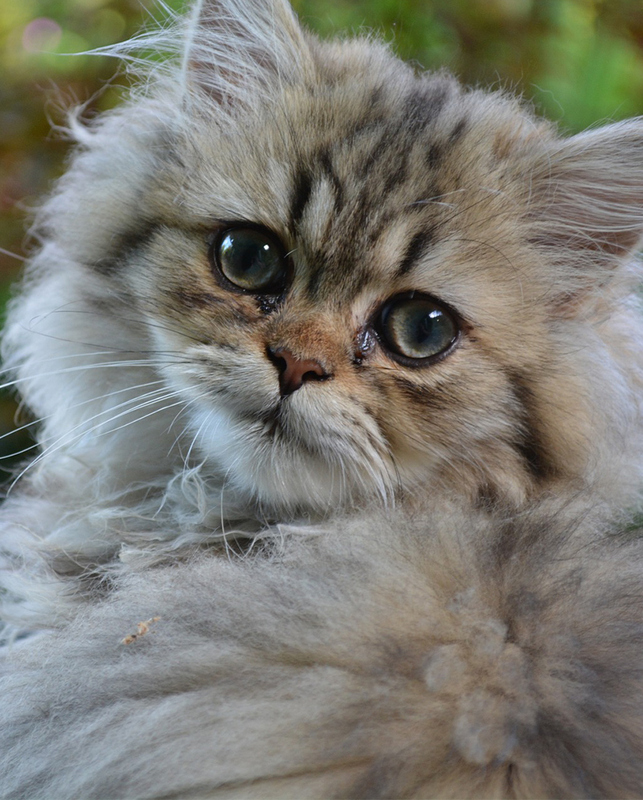 In the UK you are looking at somewhere in the region of £300 – £600 for a pedigree pet Persian kitten. Again a show quality Persian kitten you will be looking at nearer the £2,000 mark. When buying a Persian you need to take into account the potential health issues addressed above. Good breeders looking to improve their lines with health testing will need to charge more for their kittens, as they are investing more into them. The best breeders are not necessarily show breeders, in fact they are more likely to prefer the very flat faces problematic faces we have discussed here. Take health as your primary goal, and go from there. Another way to find a healthy kitten if you are a Persian fan is to look for a half Persian cat. A half Persian cat or Persian cat mix is a great choice for some kitten buyers. A Persian cat mix can give you a chance for some of the characteristics of a Persian, without the problems associated with the very extreme end of the scale. If you get a Persian mix that is crossed with another pedigree breed, then make sure that the breeder has carried out health tests relating to both types on the parents. Persian cat rescue is another way of finding a lovely new friend. These cats will be older and unlikely to have a pedigree certificate, but can provide the wonderful companion of a Persian kitten with some more known aspects. Persian cats for adoption will probably have been vet checked already, and you can see their likely temperament before you even bring them home. 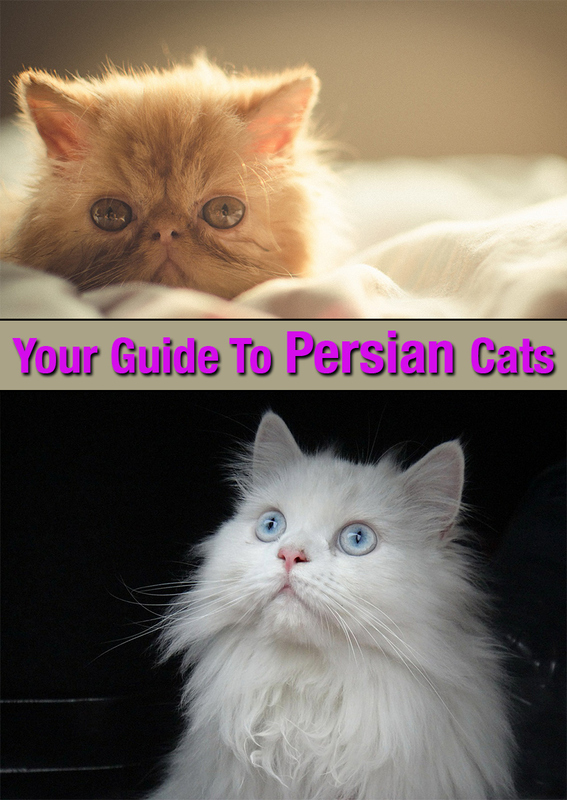 Is A Persian Cat Right For You? Buying a Persian cat is a big commitment. This is no low maintenance moggy. You must be sure that you have the time to commit to coat care every single day, to keep them in a healthy condition. You need also need to be able to afford full pet insurance cover, should the worst happen and your Persian cat become unwell. Persian cats have lovely temperaments and make wonderful companions to those who enjoy the grooming that comes along with them. If you decide to buy a Persian cat then choose your kitten carefully, and follow the breeder search guidelines given above to ensure that you make the best possible decision. Gunn-Moore et al 2008 Breed-related disorders of cats. Journal of Small Animal Practice. Blocker et al A comparison of corneal sensitivity between brachycephalic and Domestic Short-haired cats. Veterinary Ophalmology. I have seen a lot of cat websites that list the Persian’s life expectancy as 15 to 20 years, and I always found that hard to swallow given the respiratory problems that go with the flat face. I suspect that the Persians with brachycephaly have life expectancies of 8 to 11 years, while the ones with longer muzzles, which are sometimes called “doll-faced” or “traditional” Persians, enjoy longer life spans. Not true ! My flat face cat is still alive at 13! That is good to hear. This is my first time checking out life expectancy for my Persian, Chip, who is a flat face and is 10 years old. I adore him but see him slowing down a bit. Have other cats including a 10 year old Himalayan and 3 calico females ages 14, 8 and 6. Chip is my only male and only flat face. I love them all, but he definitely has my heart and soul. My Persian male lived to 15 1/2. He had teeth problems, and asthma in the last 4 years of his life. He needed oxygen tent treatment during attacks, and I learned to manage his illness, even nebulizing him with albuterol in his tent. I loved that cat (Rocky Racoon) more than any other, the health troubles while extreme can never outweigh the companionship, and pure joy of his warm personality. i have a persian cat name Diamond, one of the most handsome happy, and healthy cats have ever seem every one love him. Our cat Ceaser is 15 and a half. He was a former quad grand champion. He has slowed down this year and is having issues with his mouth. We love him dearly. He is a cream and white and flat faced.